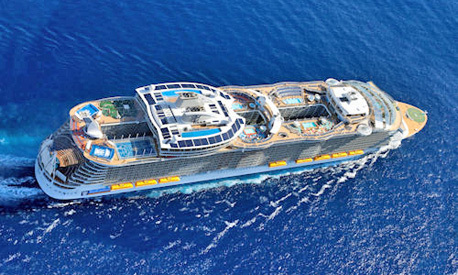 Details emerged today of the itineraries for Oasis of the Seas‘ first European cruises , which will take place in 2014. 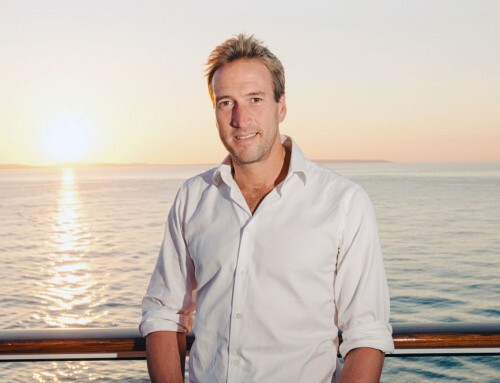 The voyages go on general sale next week and UK travel agents are predicting they could be sold out within 72 hours. Oasis, carrying 5,400 passengers and joint holder of the “biggest cruise ship in the world” title, is based in Fort Lauderdale and operates seven-day cruises to the Caribbean throughout the year. But next September the ship will be travelling to Europe for a routine dry dock overhaul. Royal Caribbean have taken the opportunity to offer two 12-night Transatlantic voyages – with fares starting at just over £60 per person per day – two five-day cruises from Barcelona, and a seven-day cruise from Barcelona to Rotterdam. A visit to Southampton on October 15 is already generating huge interest and will be the focus of a massive marketing push. The ship is so big it has its own Central Park (above) and a Boardwalk area (below) complete with a vintage carousel. There are two climbing walls, two FlowRider surf simulators, an ice rink, a Royal Promenade of bars, shops and restaurants, and a theatre showing a West End-standard production of Hairspray: The Musical. All are included in the fare, and when the ship launched in November 2009, I wrote about The Biggest Free Show Afloat, totting up the cost of enjoying the same attractions on land. It leaves Fort Lauderdale on September 1, 2014 and will be at sea for nine nights before calling at Malaga. Fares start at £739 pp (£62 p night), excluding flights. The two round-trip cruises from Barcelona depart on September 13 and 18, and will visit Rome and Naples; fares from £599 (£120 p night). 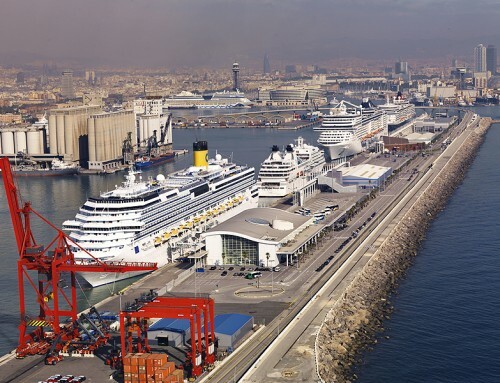 On September 23 Oasis will leave Barcelona for Rotterdam, where the dry dock maintenance will be taking place. The seven-night cruise visits Malaga and Vigo, fares from £699 pp (£100 p night). But it’s the return Transatlantic voyage from Southampton which is likely to be the most popular among British cruise-goers. Departing on October 15 – after a day of festivities – the itinerary includes Nassau in the Bahamas and Cozumel, Mexico, before arrival in Fort Lauderdale. Fares from £729 (£61 p night). 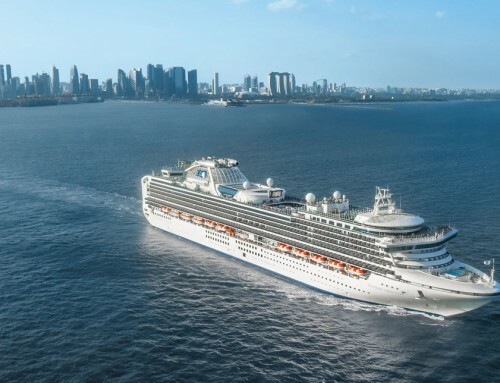 The cruises will be on sale to members of Royal Caribbean’s Crown and Anchor loyalty club members from Tuesday, April 9, and will be on general sale from Thursday, April 11.